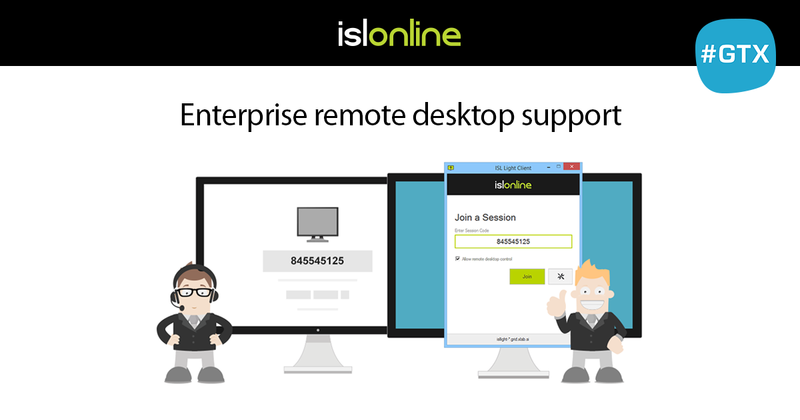 For the sixth year, ISL Online is exhibiting its Enterprise Remote Desktop solutions at Dubai’s GITEX Technology Week, 18-22. October, the number 1 technology event in the MEASA region with 130,000+ ICT professionals from 150 countries. You are welcome to find us in three locations — the Sheikh Saeed Hall at the Fujairah government’s Stand S1-101 and Stand SR-F1, while also in the Zabeel Hall at Booth Z-B20. Co-exhibiting also with a local authorised partner ABS MENA in the Zabeel Hall, we will be showcasing how to access and support all the latest iOS and Android mobile devices from a remote computer, while also demonstrating how to troubleshoot classic desktop computers with an impressive array of ISL Online remote support and live chat functionality, all part of an all-in-one solution. Some of the major corporations present in the region, like Batelco, Dutco and Besix, have already rewarded our long-term commitment to these markets and adopted the ISL Online Enterprise Remote Desktop software. 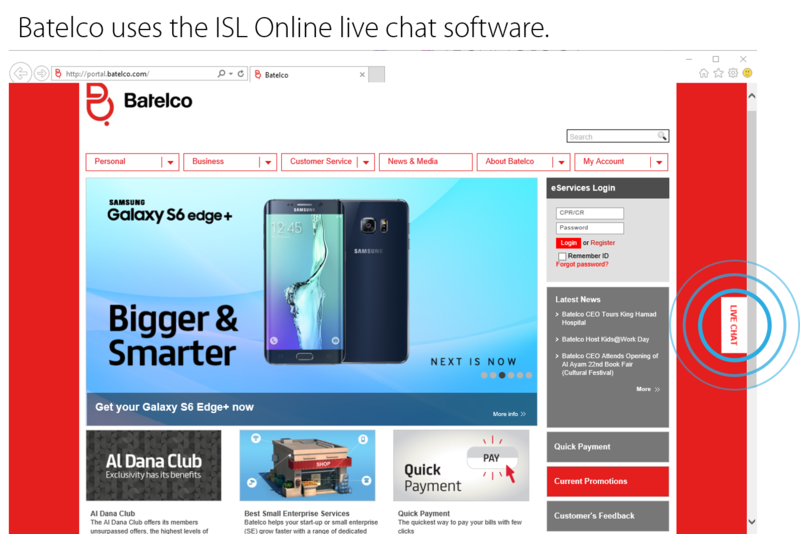 Bahrain Telecommunications Company (BATELCO) has integrated the ISL Online live chat solution into their website for closer engagement with their users and website visitors. You are welcome to visit us at the Fujairah government’s Stand S1-101 and Stand SR-F1 in the Sheikh Saeed Hall to see ISL Online remote support tools integrated into a government application and a service booth. We also invite you to stop by Booth Z-B20 in the Zabeel Hall and explore how the enterprise remote desktop apps could benefit your technical support team. Launched in 1981, GITEX is the gateway to the Middle East, Africa and South Asia’s ICT industry. This year the Gitex Technology Week is held from 18 – 22 October 2015 at Dubai World Trade Center. This entry was posted in corporate remote desktop, integration, isl online, remote desktop support, trade show and tagged @GITEXTechWeek #GTX #GTX2015 #Dubai #Technology #IoT #Mobile #UAE, enterprise remote desktop, Fujairah government, gitex, gitex 2015, gitex technology week, MEASA, Sheikh Saeed hall, Zabeel Hall. Bookmark the permalink.